Pokémon GO is now having over 75 million downloads officially on Google Play Store. Niantic is trying to launch Pokémon GO in new countries every day but it is still untouched in countries like India where smartphone users are above 200 million. People in India will have to wait longer for its launch which will be happening in a week or two. 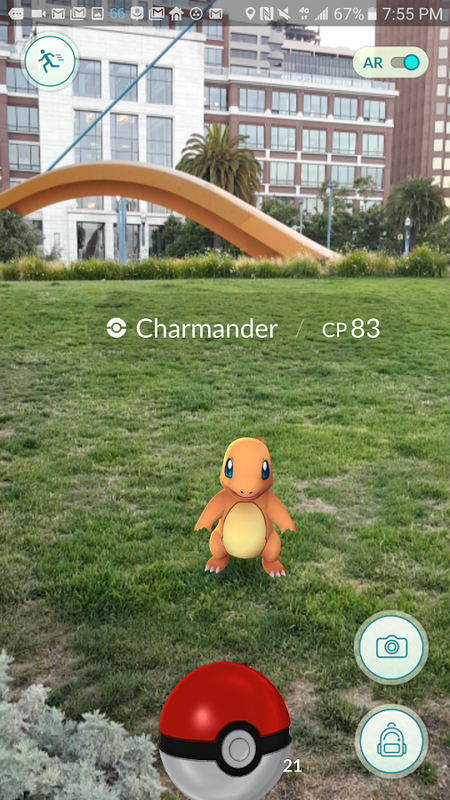 People who had already downloaded Pokémon GO on their phone could use these tips for finding more Pokémon around their surroundings. Use Google: Search Google for historical monuments, places of interest near you, Public Parks and Gardens, Lakes, Food Parks, Malls. These are the places where you can find a bunch of Pokémon but there is a less likely probability of finding Pokémon around highways. You can also use Google Maps to get to these places. Sometimes fields near you can get you a Grass type Pokémon. Get a Power Bank: People who are going for an all-day hunt for Pokémon should get a Power Bank of at least 20000 mAh capacity. Heavy use of Mobile Network and GPS can cause your battery to drain faster than you expect. Make Sure to set your smartphone location to High Accuracy mode. Become Efficient: Pokémon with higher CPs are usually harder to catch and it also depends on your current level. So, to catch a Pokémon with 200 CP you will be at least wasting around 2-6 balls. Make Sure they are stable and not moving when you are aiming Pokéballs on them they often move after a certain interval of time. Pokéstops: Pokéstops in Pokémon Go are reported to be located in Temples or different Worship places. Transfer Pokémons to Professor: Pokémon with low CP should be transferred to professor by which you can get that particular Pokémon candy in return from the professor. Skills of a Pokémon cannot be changed if you have two same Pokémon with different skills make sure to keep the Pokémon which is more powerful with unique skills. Bigger and Heavier Pokémon can get a higher CP points. Pokémon GO is still not available in the major part of the world where it has a huge fan following. Smartphones with RAM less than 2GB are not compatible and should have an android version 4.4 or up. Your device should have GPS and mobile network for the game to work properly. Devices only with Wi-Fi mode might not Work. Tablets might not be compatible with the Game.